Here is our second post on the 2013 Oscar winners. Check out the analysis for Daniel Day-Lewis which we did earlier. Jennifer Lawrence is born in a Horse year on a Yang Water day. The day element represents her dominating personality trait. Her being born in the Monkey month makes her water stronger, as it is going into autumn. Therefore her Yang Water element is considered to be fairly strong. After a short break we are continuing with our element series and introducing famous people from each of the ten main elements. We already covered Yang Metal and Yin Metal, and are now introducing some Yang Water celebrities and successful people. We can't start any conversation about Yang Water personalities without mentioning the most powerful Yang Water person of our time, Bill Gates, founder of Microsoft. If you follow Apple and the development of Apple products closely you have probably heard of Jony Ive, a genius designer, a very good friend of the late Steve Jobs, who’s work is behind all recent hardwares of Apple, including iPhones and MacBooks. Jony Ive is very much obsessed with using aluminium in all Apple’s products. In the begining it was not so easy to implement, and they had to overcome a lot of technical issues before it became possible to build products such as iPhones and MacBooks which have an unibody alumium frame which is entirely built from one piece of aluminium. UPDATE: We also examined the reason for Lennon’s death, fascinating stuff indeed. The Beatles are by far the most famous and most successful band in the history of music. The four of them managed to create an unique chemistry producing music which took the world by storm. We probably all agree the most important ingredient of the band was the fantastic creativity match of John Lennon and Paul McCartney, to whom the band owes probably over 90% of all hits. We decided to have a deeper look into their elements to find out what triggered such an inspired cooperation. 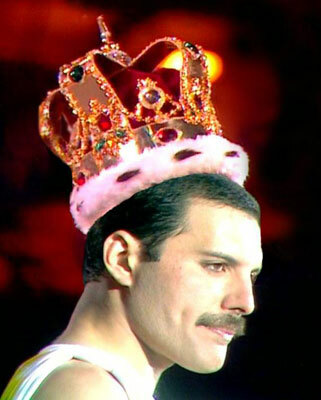 Today is the birthday of probably the greatest rock n roll frontman of all times, Freddie Mercury of Queen. The interesting thing about him is that he is a Yang Water person by day of birth but due to his extremely strong Fire element his personality shifted totally towards Fire.